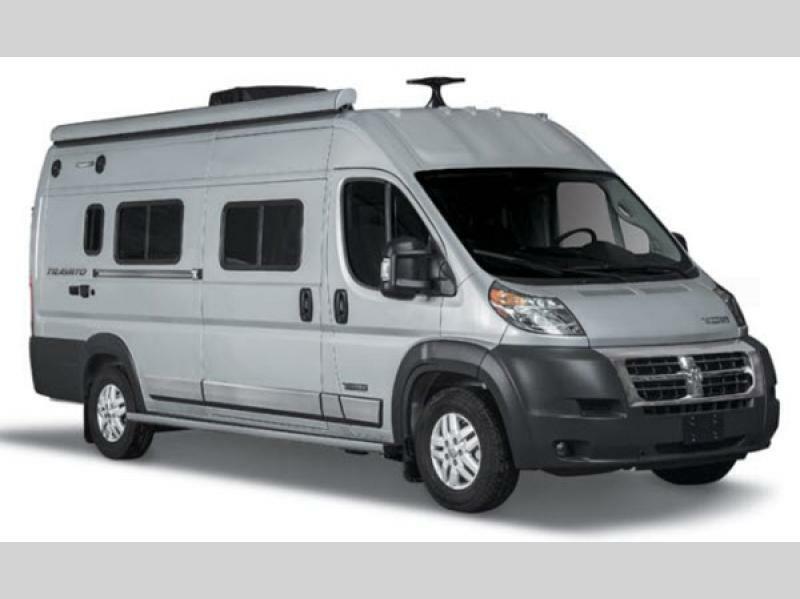 The Winnebago Travato provides the best value for those who love to explore in a fuel-efficient way! 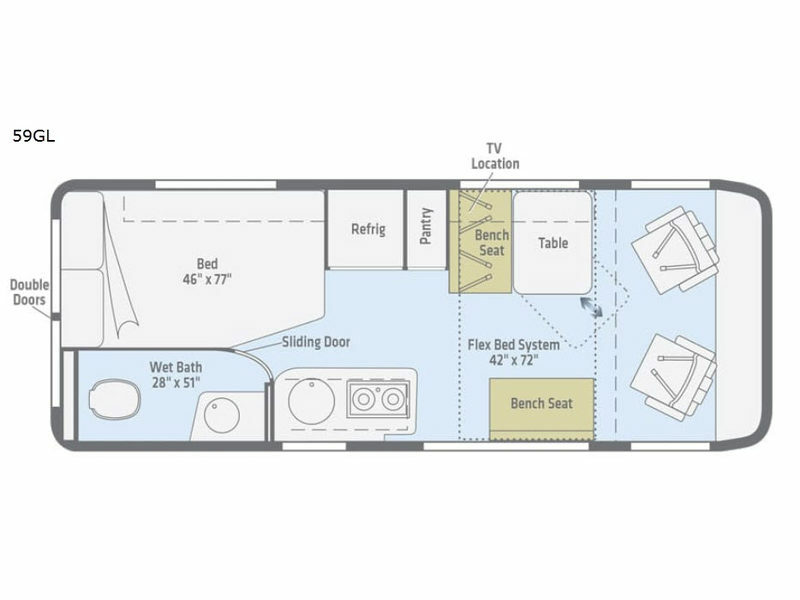 This Class B coach comes in at 21' long and is unbelievably agile along with offering its owner a full featured RV experience. From the Ram ProMaster chassis with a V6 gas engine to the stylized aluminum wheels you are sure to enjoy driving anywhere you wish to go. Travato's adventurous spirit is evident even more so in its models with features such as Corian countertops, a stainless steel sink, and an exterior speaker system that provides a relaxing atmosphere once evening comes. You will also love the new Pure3 Energy Management System that comes standard on models 59GL and 59KL. This new best-in-class system is helping RVers "cut the cords", literally! The 38V automotive-grade lithium energy system easily gives you all the power you need fast and simple through multiple charging options. You can easily pull off the road anywhere and have all the power you need without the use of a generator or power hook-ups. Easily run all appliances and the AC anytime with the push of a button, and know exactly how much energy remains at all times with a simple analog gauge. For a whole new level of Class B value, the Travato doesn't just enable your adventurous spirit, it enhances it to the fullest. 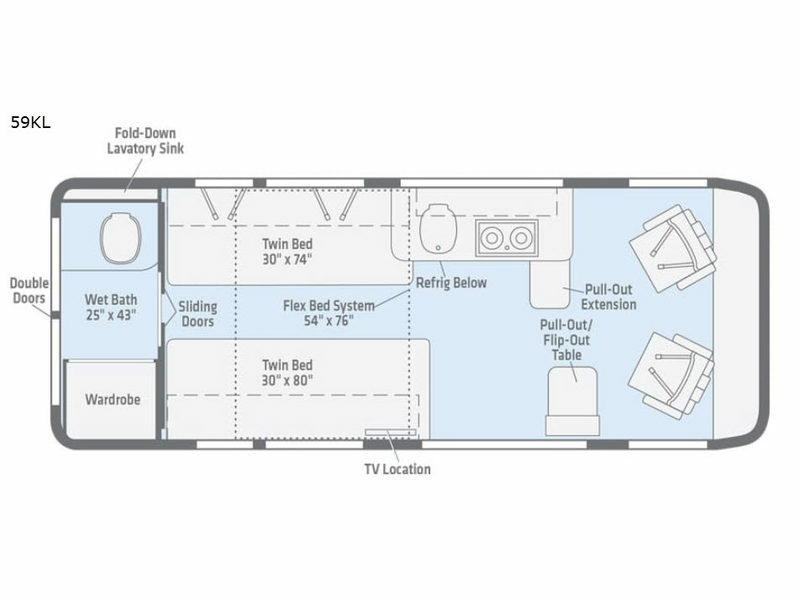 Come choose a Winnebago Travato Class B gas motor home and set out on your next road trip! Shower Size 28" x 51"
Shower Size 25" x 43"